Elmwood Park is a classic bedroom community that offers commuters a small-town atmosphere and excellent transportation amenities. Elmwood Park has slightly more industrial and commercial development than the neighboring towns of Fair Lawn and Glen Rock. Even with the availability of shops and services close to home, residents look to the malls of Paramus for expanded shopping. Civic involvement characterizes this long-established area where well-kept older homes and newer construction harmonize in architectural diversity, graced by manicured lawns and bright flower beds. Interstate 80 and 287 as well as Routes 4 and 208 serve this area, although residents have an opportunity to take advantage of commuter bus and train to New York City. Recreational amenities include a youth center in Elmwood Park, lush local parks, sports fields and courts, playgrounds, county parks, golf courses, hiking trails, and opportunities to enjoy nature. Prior to 1916, the area which is now Elmwood Park was known as Dundee Lake, a section of Saddle River Township. Residents of the Dundee Lake area voted on April 18, 1916 to secede from Saddle River Township, to form the Borough of East Paterson. In 1917, residents of the Rosemont section of Saddle River Township voted to be annexed to East Paterson. In November of 1972, residents voted to change the name of the Borough to Elmwood Park. The new name became official on January 1, 1973. As of the 2010, census there were 19,403 people, 7,089 households, and 5,075 families residing in the Borough. The population density was 7,129.8/mi² (2,757.4/km²). For additional information, please see Demographics. The Borough of Elmwood Park was originally incorporated in 1916, and is governed by a Mayor and six-member Council whose members oversee the Borough’s administrative agencies. The Mayor is elected directly by the voters to serve a term of four years. Members of the Council serve overlapping terms, with two members elected at large each year to serve for three years. Under the Borough form of government, Council members act as the legislative body with the Mayor presiding at meetings and voting in the event of a tie. Most appointments are made by the Mayor with the advice and consent of the Council. The Mayor also annually assigns Council committee and liaison duties to effectively carry on the business of government. 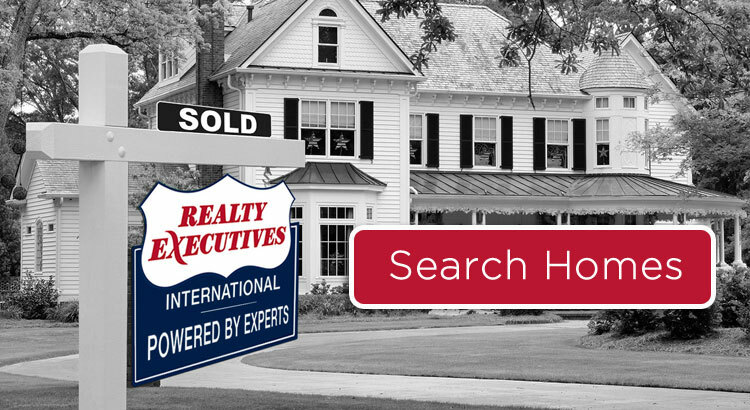 Realty Executives is one of the nation’s leading providers of Elmwood Park, New Jersey real estate for sale and home ownership services. Contact Us today to buy or sell real estate in Elmwood Park, NJ.